TRIBUTES have been paid following the sudden death at the weekend of Thomas Doherty. Greencastle Golf Club issued a statement saying club members were "shocked and saddened" at the sad and sudden passing of one of its long-standing members after a short illness. It said: "It was with a great sense of shock and sadness that the members of Greencastle Golf Club heard of the news on Sunday morning of the sudden passing of Thomas Doherty. 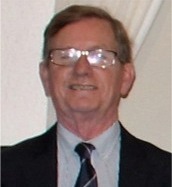 Thomas was currently serving as Trustee of the club and had been captain (in 1990) and president (in 2013). "His association with Greencastle Golf Club goes back many years and his wife Helena is the club’s Lady President. To say that he will be sadly missed at Greencastle Golf Club is a huge understatement. "The affection in which Thomas was held at Greencastle was due in no small measure to his often outspoken, but always humorous opinions on every topic of conversation. The sympathy of all at Greencastle is extended to Helena and his family. May he rest in peace."